We witnessed the need for winter items during the cold months of the northeast and the idea grew into something more profound. 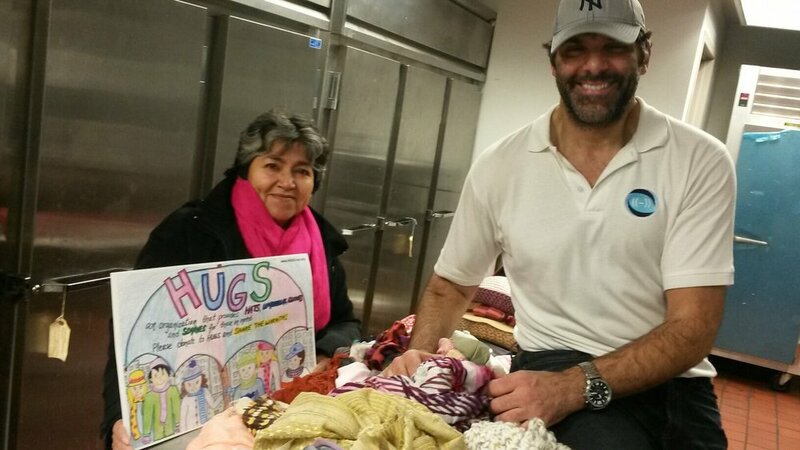 HUGS started simply, when Anthony gave the hat he was wearing to a freezing homeless veteran on a NYC street. That exchange was pivotal, leading to Anthony's founding of HUGS in 2010. 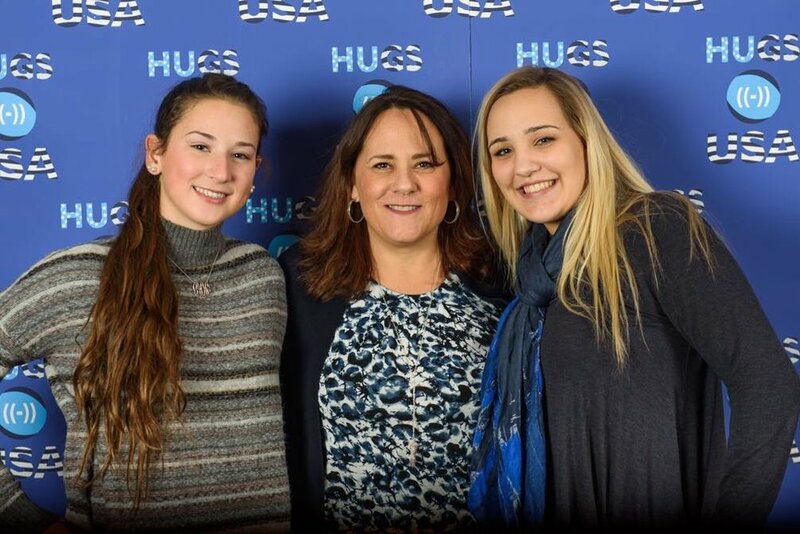 In 2014, HUGS USA became an official 501c3 non-profit organization. We now collect and distribute HUGS from all over the country. Collecting these basic items we often take for granted has enabled people from all over to send small boxes of warmth (and hope) to those in need. Bags and bags have piled in from our growing family of supporters. We have reached over 1000 donations and are expanding our reach each year. HUGS are distributed through community organizations, churches and temples, shelters, and missions. 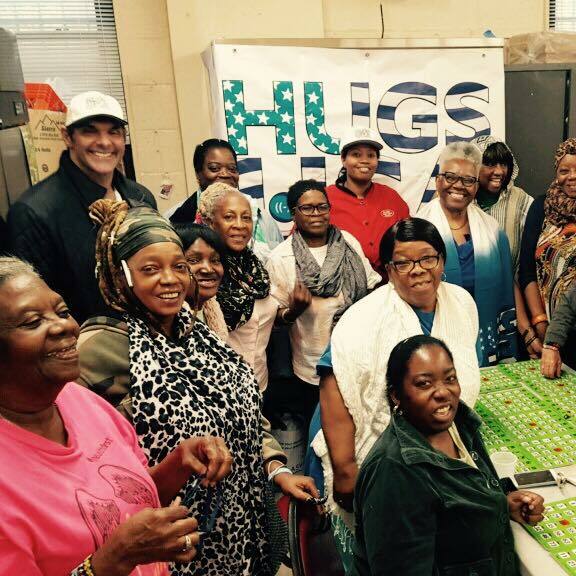 In emergency situations such as Hurricane Sandy, relief organizations are also utilized to quickly get HUGS into people's hands. We are working towards the goal of building a country that no longer has a homeless population by fostering inspiration, workplace opportunities, education, mentorship, and supportive communities. We believe doing is what matters, so we're committed to giving back. As we grow, we continue to explore the ways to leave a positive impact on our neighborhood, city, and country through tangible acts of kindness - because to us, that's priceless. Wherever there's a need, we'll be providing HUGS. 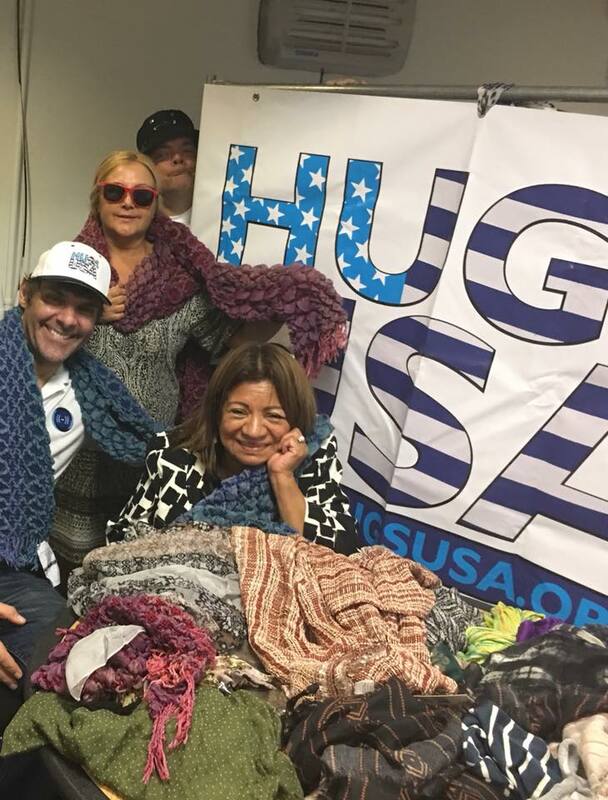 From coast to coast, our supporters donate to our New York City hub - by giving new or gently used HUGS (hats, umbrellas, gloves + scarves) or making an online cash donation. To serve the most people, we partner with those who share our vision. We are honored to partner with organizations like Project Find, providing low-income and homeless seniors with services and support so that they can live independently. View our Impact page to see our entire list of partners. Collecting these basic cold weather items enables people from across the country to directly help individuals most in need. Distributing these HUGS is the most rewarding moment of our work. View our Impact page to see our entire list of distribution centers and learn more about our milestones to date.